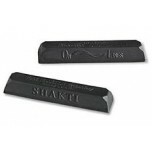 Shakti Innovations was founded in 1994, to design products that improve the performance of components in audio through a unique patented process that absorbs and dissipates Electromagnetic Interference (EMI), which can degrade audio performance. 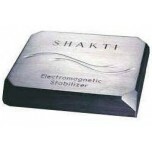 Shakti's first area of attention was the audio world where their introductory product, the Electromagnetic Stabiliser, was sold through dealerships and audiophiles throughout the world. In the 1990’s Shakti were issued a patent for their designs and subsequently their units have been installed in major recording studio’s, such as Pink Floyd’s Astoria Studio and the famous Abbey Road Studio. The Shakti design process is led with the idea that the final product should not need any modifying or retrofitting, but instead should work simply and noticeably improve your audio products or listening environment.